Caraquet on the Acadian Peninsula can give you hands on experience with Acadian culture. The Eastern coast of New Brunswick is known as the Acadian Coast. The distinctive Atlantic Canada culture features fishermen hauling in lobster traps and French-speaking fishing villages. The key part of the Acadian Coast is the winding road linking Dalhousie, Bathurst, Miramichi, Moncton and Port Elgin. The red, white and blue Acadian flag with the yellow star can frequently be seen on mailboxes, signposts and in other public areas as a reminder of the area's history as New France. The Historical Acadian Village portrays Acadian life from the mid-1600's to the late 1800's, and the Saint-Isidore Museum highlights the region's historic agricultural and forestry economy. The town of Shediac, which hosts an annual lobster festival every July, is a well known holiday town with a magnificent beach and unexpectedly warm waters suitable for swimming. The 12 km (7.5 mi.) white sand dune of Bouctouche Bay offers an eco-centre and wildlife viewing. Kouchibouquac National Park offers hiking and biking trails, canoeing opportunities, and bird-watching on its 26 km (16.2 mi.) stretch of coastline. 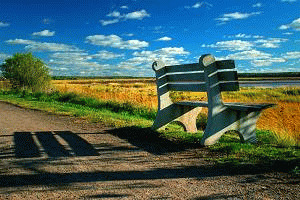 The Acadian Peninsula Ecological Park also features the natural environment. Sugarloaf Provincial Park offers skiing in the wintertime and hiking in the summer. Enjoy the view from the four-storey lookout at Cape Jourimain Nature Centre of the 12.9 km (8.0 mi.) Confederation Bridge connecting New Brunswick to P.E.I. Or enjoy entertainment in a living village in a natural setting at Le Pays de la Sagouine. Our hotel in Bathurst New Brunswick is perfectly suited to meet the needs of business and leisure travellers. We offer 78 spacious guestrooms and two room suites, free deluxe continental breakfast (yogurts, fresh fruit, bagels, breads, muffins, assorted cereals, coffee, tea, and juice), free wireless internet, free movies, free morning newspapers, free local calls and the list of goes on. Our hotel is ideally located in Bathurst near the Supermall, Apollo Cinemas, KC Irving Regional Centre, Youghall Beach Park, Squire Green Golf Course and Bathurst Marina. The War Museum at the Royal Canadian Legion Herman J. Good (VC) Branch No. 18 provides a glimpse of the area's history. City Farmers Market and Bathurst Farmers Market are also located minutes away. Our brand new property complete with a delectable and highly rated on-site restaurant, are proud to bring an indoor pool open year-round, the perfect place to relax or gear up for a night on the town or let you slip away to the state of the art fitness center where you never have to skimp on your workout regimen. Our Beresford hotel is centrally located between the cities of Bathurst and Beresford. We have newly renovated rooms, Onsite dining services, Suites with kitchenette for long stays, Breakfast voucher, Free high-speed internet, over 5000 Sq Ft of meeting room spaces, Heated outdoor pool (seasonal), New Fitness center, Free self service laundry, Game area and children's playground. Bouctouche, on the Acadian coast, is an engaging place. Its many tourist attractions draw in many visitors. From conversations and laughter in the cafes, you'd think they're all one big, happy family. Inside the Hotel, you find a quiet refuge that fills your heart with peace and tranquility, allowing you to review your day, the experience of the sand dunes and gentle ocean breezes. Our Campbellton hotel is conveniently located near the Paramount Theater, Galerie Restigouche Gallery, Campbellton Centennial Library and Theatre Restigouche. Sugarloaf Provincial Park is home to Sugarloaf Mountain, a great ski hill for families. The Campbellton Lighthouse Hostel, Canada's only lighthouse hostel, is a point of interest situated on the banks of the Restigouche River. This Hotel is 170 metres from this motel in Caraquet, New Brunswick. Simply furnished rooms include free Wi-Fi. Free parking is available. Cable TV is provided in all rooms at the motel. Each room has individual climate control. Guests have free access to an outdoor pool located opposite Bel-Air Motel. Acadian Village is less than 8 miles from the motel. Quais de Caraquet is 8 km away. This Dalhousie hotel is downtown, near the waterfront, has 46 rooms, spa suites, apartments, two restaurants, meeting and convention facilities. The full bay window dining room has great atmosphere along with the Silly Billy Bar & Grill. Enjoy the view of the Quebec Mountains from the patio. Bilingual, hospitable and experienced staff. This tree-lined bed and breakfast, set in a historic Victorian mansion next to the Gaspereau River in Port Elgin, features private baths with spa tubs. Free Wi-Fi is available. Rooms at the B&B contain hardwood floors and are furnished with pieces and reproductions from the original period. Each room is individually painted and decorated, but all contain cable TV and a work desk. Our Shediac bed and breakfast is ideal for a romantic escape, a business trip or family reunion. Our Victorian home is full of cultural history on a quiet street in the heart of a peaceful village. Our B&B is decorated with antiques with a splendid staircase to the 2nd and 3rd floor. The lobby's Grand Salon is accessible to our guests for reading and relaxing. 4 rooms all with private baths. Housed in a historic mansion built in 1911, The Tait House is located in the heart of downtown ShÃ©diac, NB, just steps away from cultural and community activities. The cachet of the Tait House with the warmth of the woodwork, the perfumes of history, every detail contributes to the experience you'll enjoy. This Inn offers guests 9 rooms and 4 suites that are uniquely decorated. All rooms and suites have a private bathroom, a queen or double bed. Our suites have a large bathroom with a jacuzzi tub, and a lounging area with a television. We are located in the downtown area of Shediac, New Brunswick, within easy walking distance of most major attractions and minutes away from Parlee Beach. This Shediac Bridge motel is located on the shore of Northumberland Strait. It has 2,000 feet of waterfront and a private beach. Parlee Beach Provincial Park is 12 km away. Each guest room at the Motel faces the water and features cable TV, free Wi-Fi, and a mini-refrigerator. There is a business center with free Wi-Fi access at Seagull Motel & Chalet. Cozy Dwelling Long Term Barachois 50 Baron Rd. Kristof Cottage Long Term Barachois 9 Bobby St.
Pines End Cottage Long Term Barachois 13 Des Pins St. Camping, La Marina RV/Camping Bas-Caraquet 2242 Beauport St.
Atlantic Host Hotel Hotel Bathurst 1450 Vanier Blvd. L'Auberge de la Vallée Hotel Bathurst 1810 Vallee Lourdes Dr. The Berry Patch Campground & RV Park RV/Camping Bathurst 2476 Sunset Dr.
West-Side Motel Hotel Bathurst 1958 St. Peter Ave.